USCharters.org: SABIS private school in Minnesota ranked among America’s "Most Challenging Schools"
SABIS private school in Minnesota ranked among America’s "Most Challenging Schools"
The Challenge Index identifies the schools that are working the hardest at challenging average students with advanced courses and have placed an obvious focus on academic success for all students. All qualifying schools are included on the list, which has grown considerably in the last year. 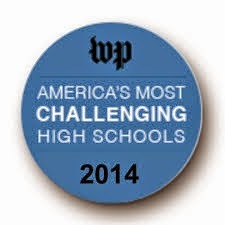 To determine qualification for the list, The Washington Post uses a formula which divides the total number of Advanced Placement® (AP®), International Baccalaureate, and Advanced International Certificate of Education tests given at a school by the number of seniors who graduate in May or June of that academic year. 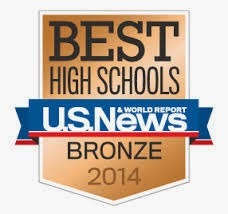 This is the second consecutive year that ISM has been included among America’s most challenging schools. In fact this year, no other private school in Minnesota was included on the list. “ISM students consistently perform outstandingly on external exams. This is a great testimony to the strength of the SABIS® Educational System, which helps students achieve their full potential and empowers students to take an active role in their education,” stated Ms. Christi Seiple-Cole, ISM School Director. To be able to bring its high-quality education to a broader audience, ISM has added a new, state-of-the-art residential student facility to its campus. Students in grades 9 to 12 are eligible for the boarding program at the school. For more information about the boarding program at ISM, click here or call +1-952-918-1840. To view The Washington Post Challenge Index listing for ISM, click here.